Whether you enjoy white water rafting, encountering exotic animals, wandering through historic cities, or sampling foreign dishes, these experiences will inspire you, change you, and make you want to give up your day job to travel full time. 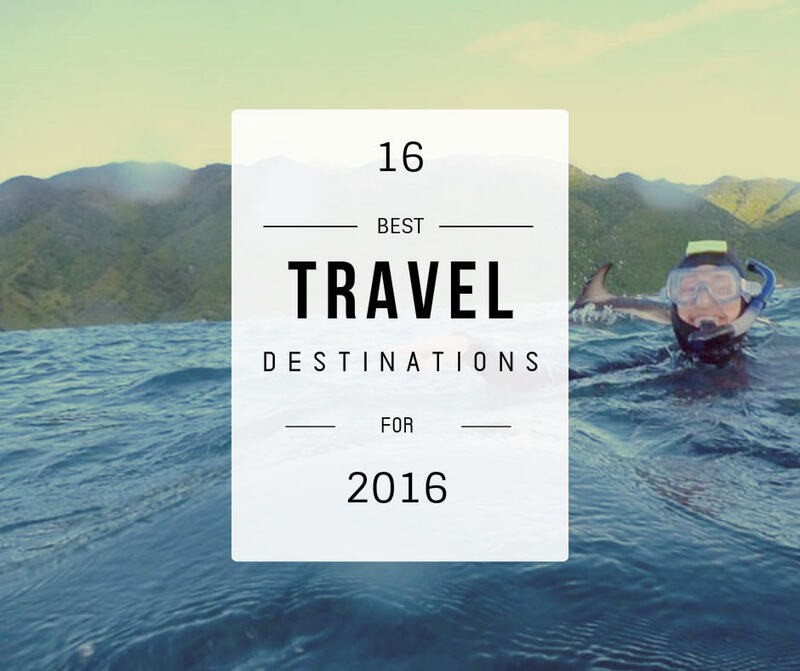 So add these sixteen things to your bucket list in 2016 and start racking up those airline miles checking off some of the world’s best activities. 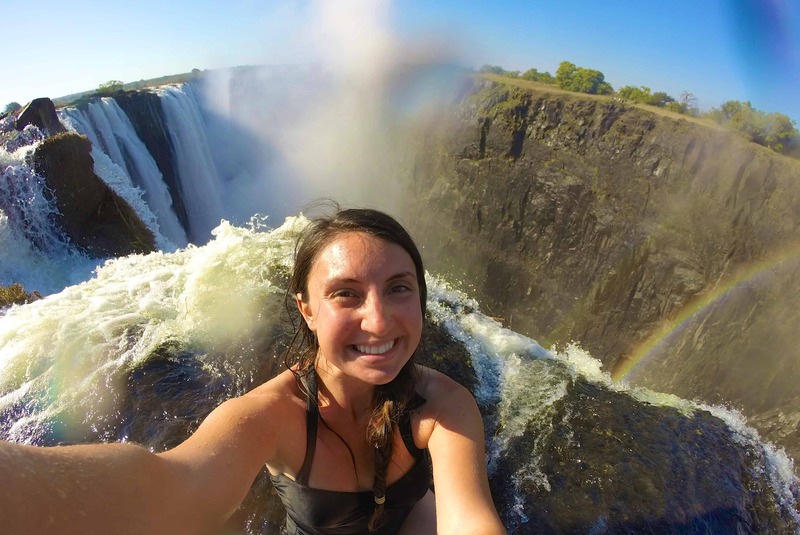 There are many well-known waterfalls, but none can be experienced quite like Victoria Falls. Jumping into the Angel and Devil plunge pools on the edge of the 108 meter drop-off of the powerful falls will give you enough adrenaline to get through the rest of the year. After a short anticipation filled boat ride down the Zambezi river you will reach Livingstone Island where you will gear up (or down rather) to jump in! As you swim to the edge, everything will come into perspective as you realize how high you are. Don’t forget to take in the view of Zimbabwe and wave to all the tourists on the other side of the falls. Visiting the ancient world wonder itself should not take much convincing, because anyone with eyes can see how stunningly impressive the sturdy Incan ruins are amongst the bright green backdrop of steep hills that jet out of equally impressive valleys. However, the Salkantay Trek as a means to get to the world heritage site, might need a little bit more of a shout out. The hike is easy to moderate and will have you admiring the tropical flowers of the rainforest and speechless as you take in the Huamantay and Salkantay glaciers. 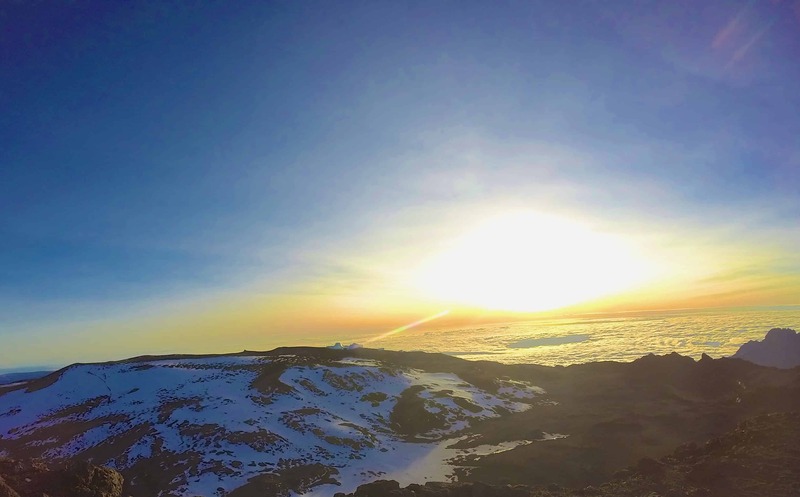 For those who are always seeking a taller mountain to climb, look no further than Tanzania’s beautiful Mount Kilimanjaro. The vibrant scenery as you trek through every vegetation zone on Earth, and the sunrise of epic proportions that will cheer you on during your summit hike, make this experience one for the books. Plus there is nothing that can make you feel quite as infinite as using your own two feet to make your way to the top of the tallest peak in Africa. After zooming by zebras, antelopes and gazelles, absolutely nothing can compare to the first moment you spot a heard of elephants marching through the tall grass in the distance. As you go further into your journey, the shapes of giraffes stretching, lions yawning, monkeys swinging, and hippos soaking will come into focus. If you’re lucky, you might even witness a scene straight out of animal planet when you catch a cheetah dining on a gazelle or a leopard perched on a tree scanning the horizon for prey. 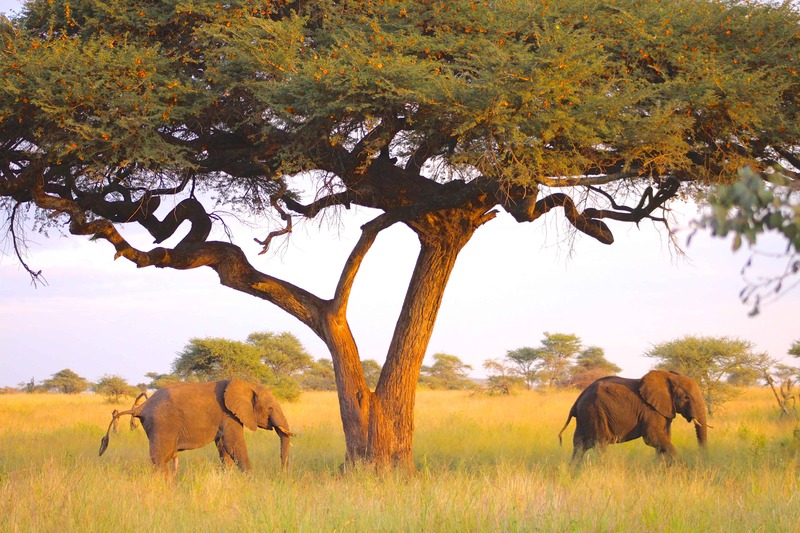 Unlike other parts of East and Southern Africa, Tanzania is home to the luscious Ngoro Ngoro Crater, which makes for a unique safari experience. The crater, when combined with the Serengeti will ensure a wildly memorable encounter of all the beloved characters from Lion King. If you are an adrenaline junkie, then rafting through the Grade 4 and 5 rapids along the fertile shores of the Nile River is the adventure you are meant to have. It is one of the best ways to soak up Uganda’s landscapes. The thrill of sharing the river with hippos and crocodiles as you conquer exhilarating waves, will have you grinning as you surface through each rapid. Of all the animal encounters and places to have them, this experience will instantly become your favorite. If the serenely beautiful shorelines, black sand beaches, seal colony and friendly demeanor of the New Zealanders in Kaikora is not enough to fill you with happiness, then swimming alongside the world’s second most intelligent mammal will certainly do the trick. Roadtrips are always a good way to tune out to inspirational lyrics, bond with friends, and embark on spontaneous adventures, but they can also come with beautiful coastal views and wild animals! If you want a truly worthwhile drive with epic pullouts and koala sightings, then this is the perfect roadtrip! We’ve all heard of the vibrant coral reefs that live off the coast of Northern Australia, but if you manage to make your way all the way there, you might as well experience them without any wasted money or discomfort. Unless you are a certified diver, I recommend getting a snorkel/ helicopter tour package for the best views and general comfort. The hour-and-a-half ferry ride from Cairns to the reef can be quite rough even for those with the strongest stomachs, but with the helicopter package, you only have to endure it one way. 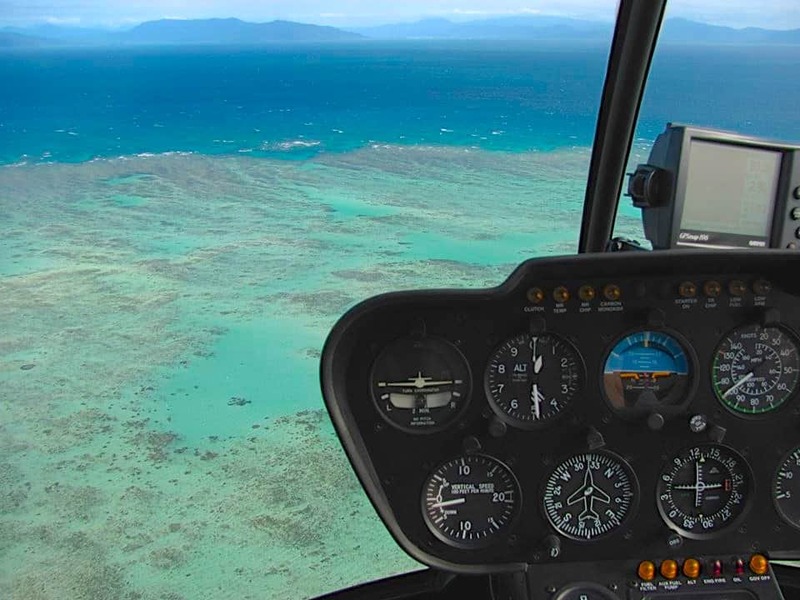 Ride the ferry out to the reef, enjoy snorkeling through the ecosystems, and then meet your helicopter on a floating barge to get a bird’s eye view of the Great Barrier reef from the sky. 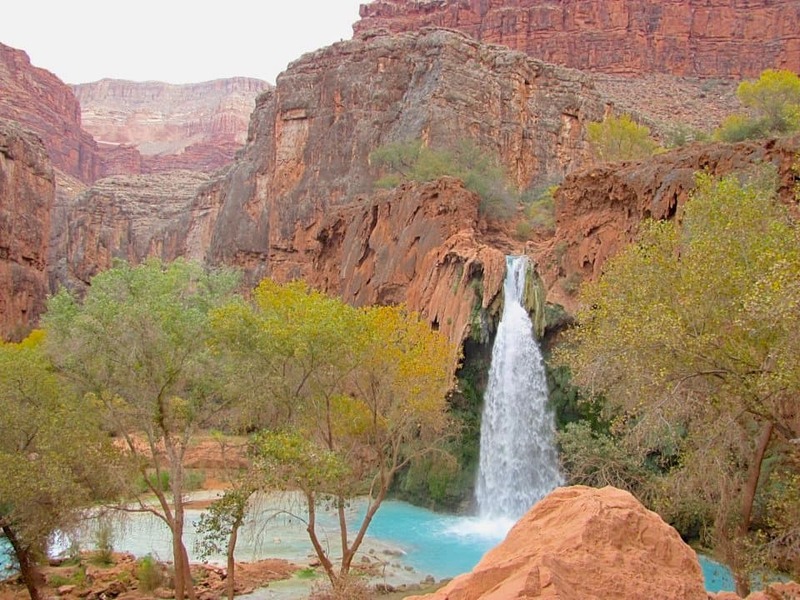 Over the last year, you may have seen a rising number of photographs circling the internet and Instagram of the shockingly beautiful Havasu Falls. However, the beauty and experience of hiking to all 4 waterfalls in the Havasupi village in Northern Arizona cannot be captured in any photograph. Camping beside the glowing turquoise creeks that feed into the unique waterfalls, is an experience that is only enhanced by the ten-mile hike through the red rocks of the Grand Canyon, alongside mules and wild horses. Easter Island is notorious for its mysterious statues of heads (more historically known as “Moai”, or as seen in “Night at the Museum” as the statue that likes bubble gum). Either way, the island itself has a lot to offer in the way of beautiful views, clear water, hidden caves, friendly locals and intriguing history. If you want a unique, less crowded island getaway, this small destination is right off the coast of Chile and can be reached by plane or boats departing from Santiago. Patagonia has inspired adventurers, photographers and even an entire outdoor brand. If you’ve dreamt of seeing glaciers, animals out of Dr. Seuss, reflections of snow capped peaks into every shade of blue lakes, and even King Penguins in the wild, then Torres Del Paine, and Tierra Del Fuego are must visit destinations for you. Tasmania is a small but captivating island off the the southern coast of Australia full of exotic animals and mystical rainforests. It’s a place where you can set off for a hike in sunlight, get briefly caught in snow or rain and end in sunshine. 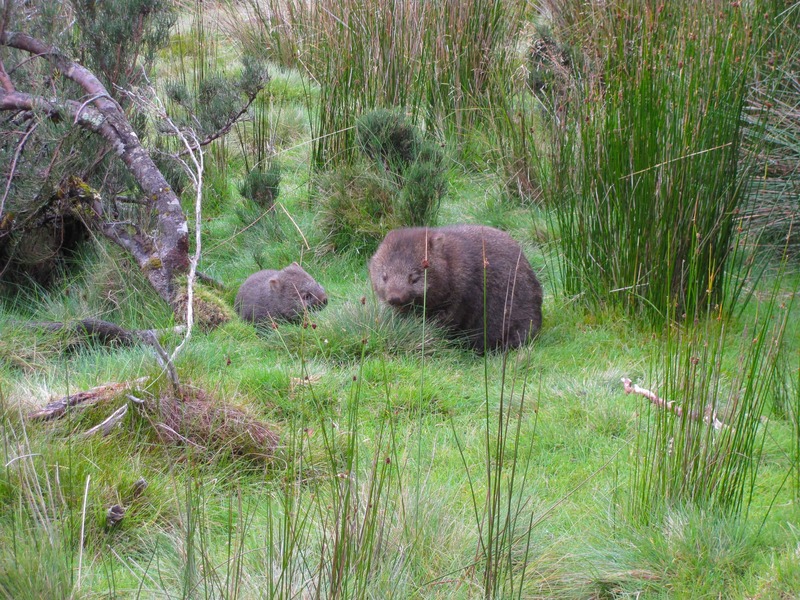 While you can enjoy a walk through Cradle Mountain without bumping into many people, you can be assured to encounter a Kangaroo, wallaby or wombat. Depending on the time of year, you might also catch a glimpse of the southern lights in the night sky! 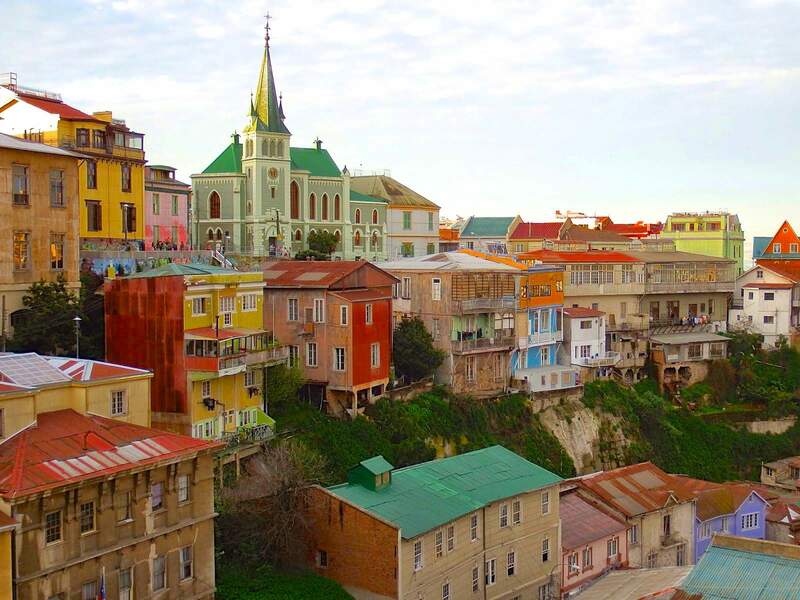 Valparaiso is one of those aesthetically pleasing cities that you see in a magazine, and then fall deeper in love with every corner you turn. Each street comes with it’s own story that can be experienced through the many murals that line the alley walls, homes and buildings. But even if the latin vibes, colorful architecture, and artistic flare aren’t enough to draw you in, the fresh seafood and Chilean wine will entice your pallet. Argentina is home to some historic architecture, opportunities for adventure, diverse scenery and delicious wine. Arrange a Bike and Wine tour through your hostel and try a new kind of wine tasting and bicycle your way to various vineyards with views of llamas grazing at the base of the snow capped Andes. Escape into a vast white desert mirage located in Southwest Bolivia. You can spend hours trying to master optical illusions at this bizarre stretch of salt flats and funky cacti that expand as far as the eye can see. Don’t forget to google photo ideas before hand and bring small props for the best photo opportunities. Have you ever dreamt of charting off to a foreign island? The colorful homes, donkeys pulling carts, ancient ruins, 360 views of piercing blue water, and delightful Bolivian dishes you’ll experience on this quaint floating village on Lake Titicaca are the perfect escape from reality.